We are back from Florida and had a relaxing, wonderful, sun-filled fall break! It's going to be a little difficult to get back to 'real life'! However, Thanksgiving is around the corner and (gulp), I am hosting this year! 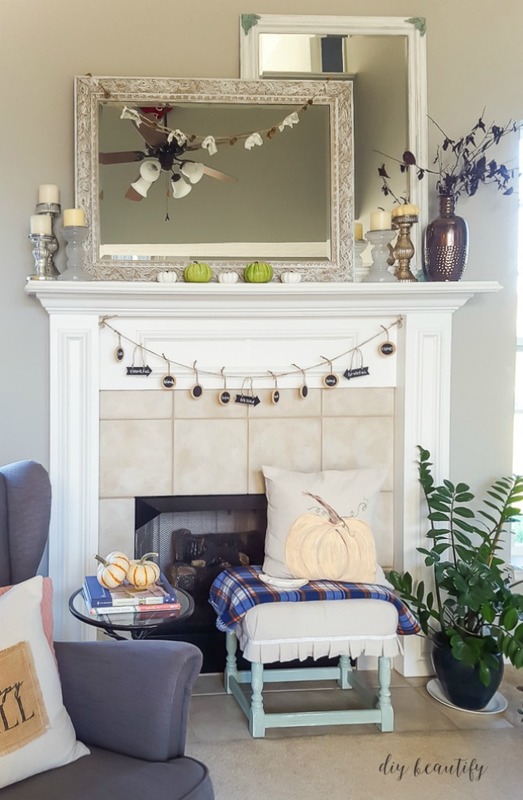 My home is decorated for fall, and I kept it fairly stress-free. 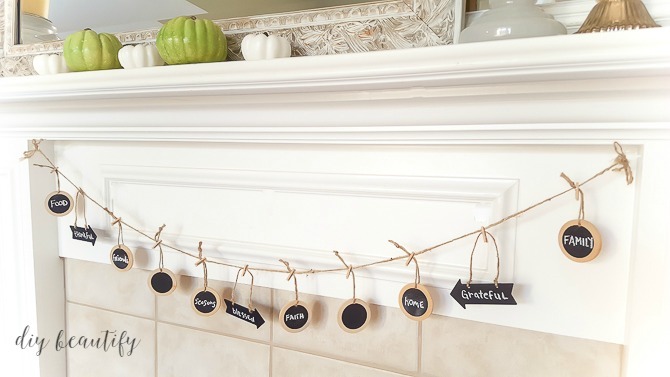 I love to create and I enjoy decorating...but I felt my home just needed one thing more...an easy Thanksgiving garland to hang across my mantle! 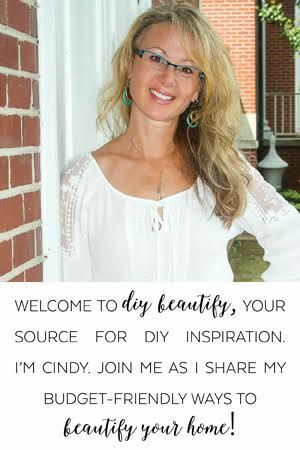 If you've been following along with diy beautify for any time at all, you will have noticed that I use garlands, banners and buntings frequently. 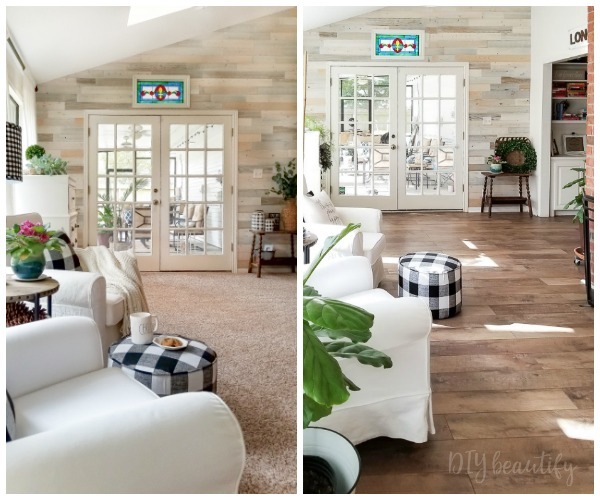 They're easy to make and they add so much personality to a room. If you don't believe me, just check out this denim pocket bunting, or my burlap Fall garland, or this mini Christmas banner. See what I mean? They are awesome! And by the way, I never know what to call them...I pretty much use bunting/banner/garland interchangeably! The Thanksgiving garland I'm sharing today is almost so easy that it doesn't even warrant a tutorial. However, I have to remind myself that not everyone has made a gazillion buntings and so maybe you would like to see just how easy it can be to put one together. 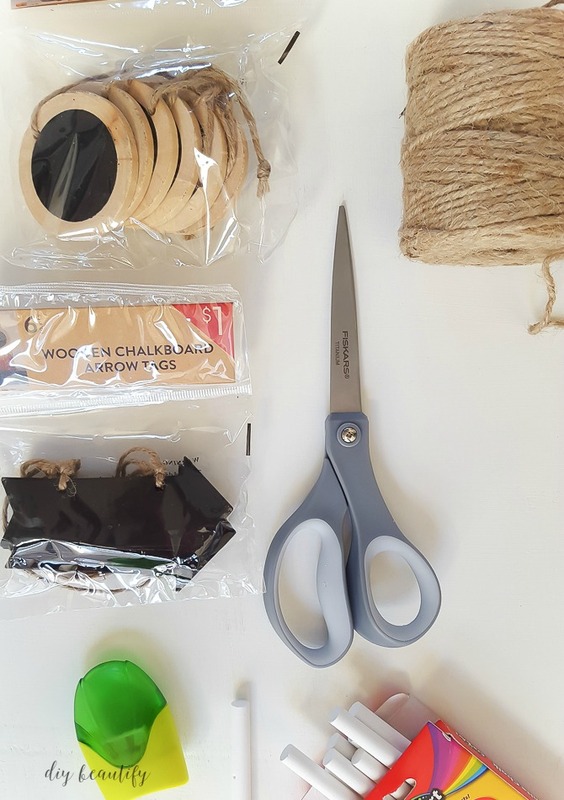 I sourced these chalkboard alphabet tags, which would be fun to use; this set of 12 mini chalkboards, these rustic tags and these round birch chalkboard tags. If you want to hang the garland across your mantle, screw the cup hooks into the mantle. 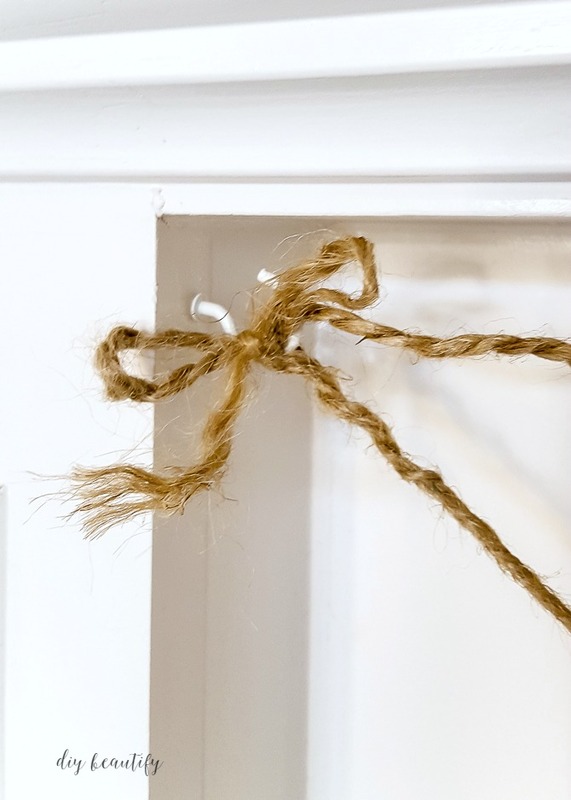 Then take a long piece of jute and tie it around each cup hook. By the way, these little cup hooks will be super handy the next time you want to hang a bunting! I leave mine up, even when there is nothing hanging there; they're tiny and unobtrusive! As you can see, I split the last 5 inches or so at each end of my jute so I could tie a little bow. This next part is probably the reason why I'm sharing this tutorial because this tip is ingenious! Take a piece of plain white chalk and sharpen it using a plain old pencil sharpener. I've been using this trick for years and can't believe I've never before shared it on my blog! It's the easiest way to get beautiful chalk letters because you have so much more control when you are writing with something pointed! But wait, there's another awesome chalk tip that you may not know about yet......take that sharpened piece of chalk and WET the sharpened tip! Just stick it into some running water. Now write your words onto your chalkboard tags! You'll find that wetting your chalk makes your letters much brighter and whiter! Of course, you could also use a chalk pen, but I like using real chalk because then it's so easy to remove! If you make a mistake and need to start over, use a damp rag to wipe the words off...it'll work much better than a dry one! 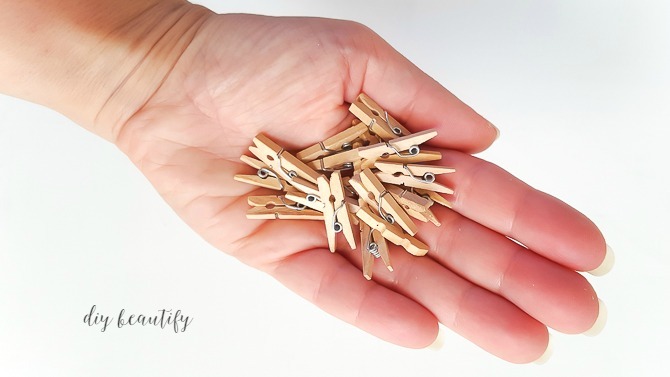 Once all your tags have words on them, hang them up using mini clothespins. 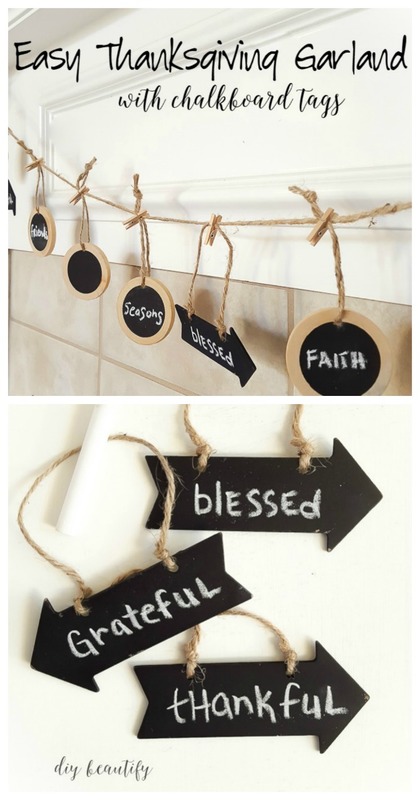 I used a variety of round wooden tags as well as arrows. I like the way the arrows point to the things I'm thankful for. A vintage ironstone bone plate makes the perfect dish to hold chalk! 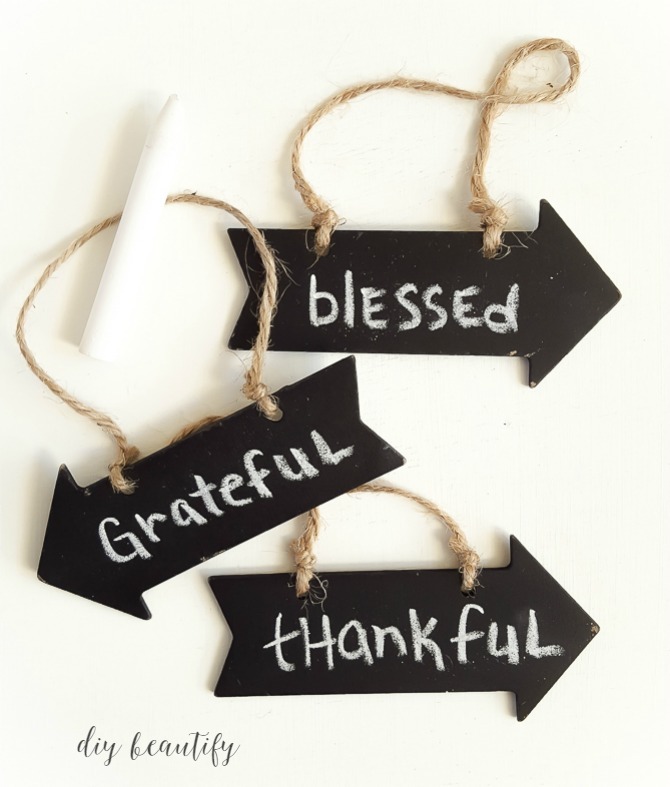 I'll take the chalkboard tags down and have them at the dinner table on Thanksgiving so that everyone can write what they're thankful for, and then hang them back up! See what I mean? Easy-peasy! 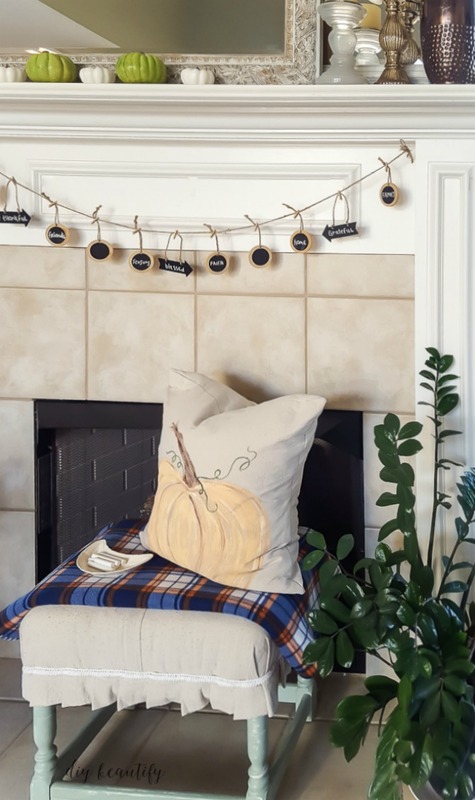 And it looks fabulous hanging on my mantle, with my painted pumpkin pillow and simple fall decor! This really couldn't be simpler and I love that. It's a meaningful, easy craft that you can do with your whole family! That's a Win, Win, Win in my book! 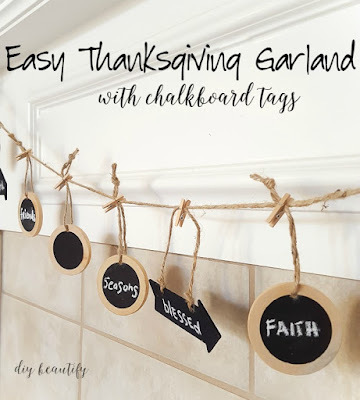 This chalkboard garland project is part of a huge fall-themed blog hop that I'm participating in, along with a bunch of other very talented ladies! Have fun browsing these other amazing Thanksgiving/fall project ideas (there are 80!). Or you can view them all at Hometalk here. Good morning Cindy. As you may know I also participated and was up till 5 am my time. But it was so worth it to see all of these lovely link ups. 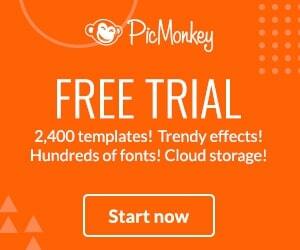 Your banner is just adorable. So very whimsical and full or rustic goodness. And very original as well, I have never seen any garlands with writing on them using chalkboard. Now you are giving me ideas. I LOVE your garland! Those arrows are the cutest thing! You're right Cathy, it will be so easy to change, that's why I love chalkboards so much. ..thanks for stopping by! What a great banner. I love this idea and its so different and looks great with your fall decor. 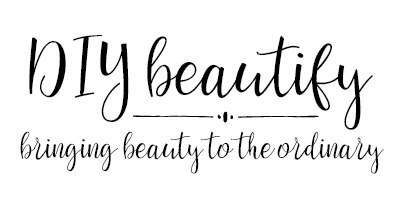 So cute - and your home is lovely! Thank you so much Jill! I appreciate you taking the time to leave a comment! What a great idea. I think I need to head to Target to get me some tags. 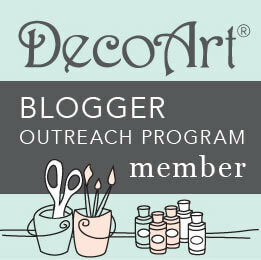 Thank you so much for sharing it at the Create-Share-Inspire Link party. We hope that you will come back again soon. I absolutely love how thoughtful this little banner is! 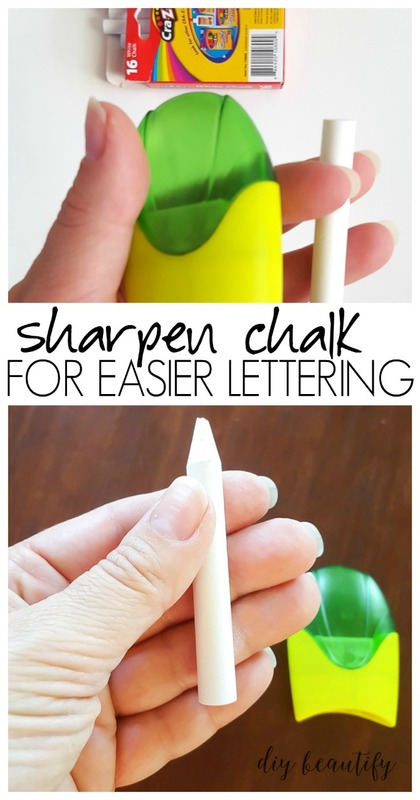 Plus I have never thought to sharpen chalk... such a great tip! 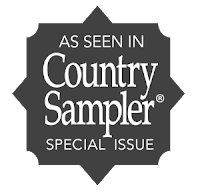 So glad to "meet you" through the Home for Fall blog hop! Pinning for reference!